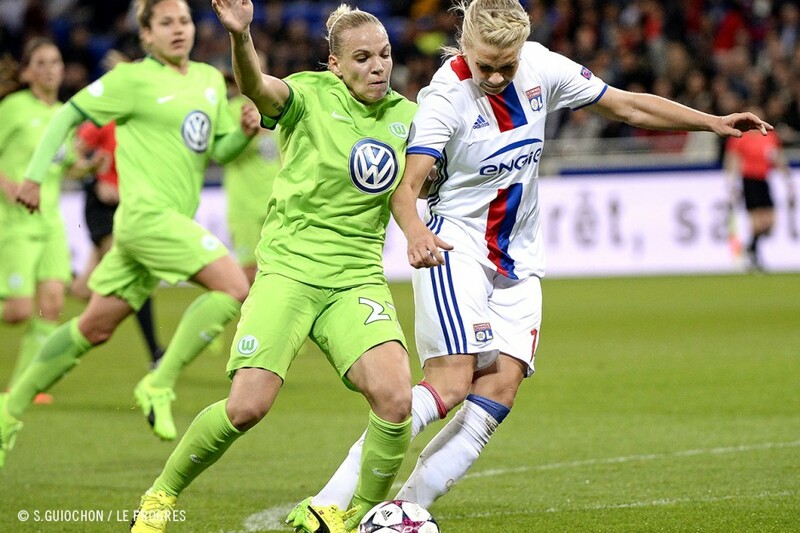 Despite their two-goal advantage from the first leg, Lyon were given a bit of a fright at the Parc OL in going down one-nil to Wolfsburg. 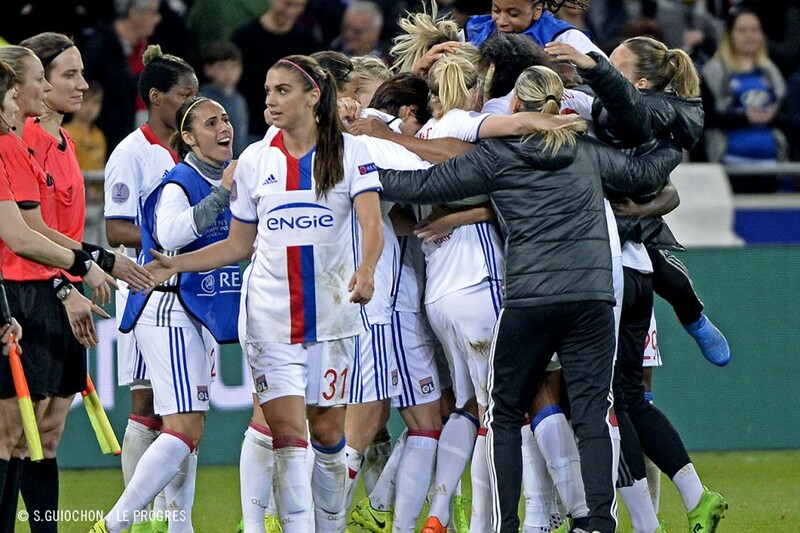 But what really counts is that the OL women have booked their place in the last four of the Champions League. 9’. Marozsan's makes her team's first attempt on goal from 25 metres out, but it goes over the bar. 17’. Le Sommer hits the post after a corner deflected by Renard. 23’. Penalty for Kerschowki’s foul on Hegerberg… eventually reversed. 35’. 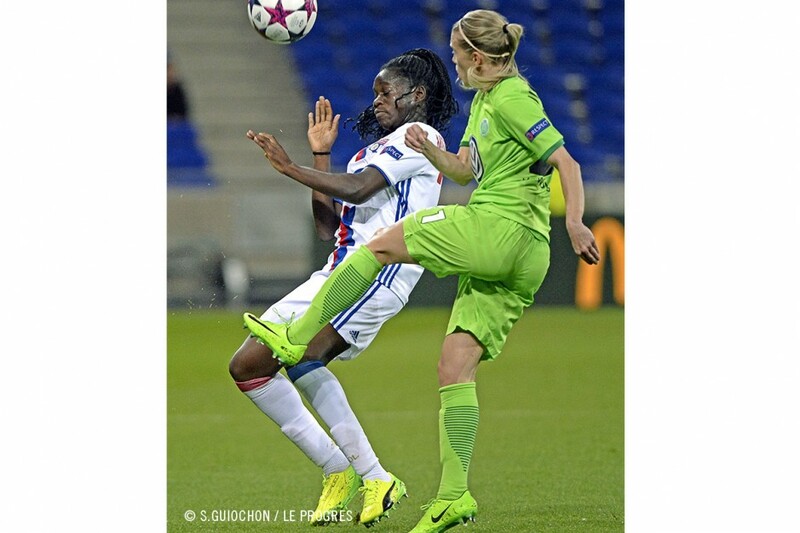 Renard deflects the ball onto her own post with her head from a Popp cross. 36’. Bouhaddi parries to concede a corner from Harder’s snapshot. 40’. Morgan shoots from a tight angle and Schult parries. 44’. Hegerberg shoots straight at the keeper after being set up Marozsan. 47’. Bouhaddi saves Gunnarsdottir’s close-range effort. 49’. Schult bungles her clearance, but Morgan can’t capitalise. 82’. Buchanan concedes a penalty that Hansen converts. 0-1. 86’. Marozsan fails to take advantage with only the keeper to beat.. The first leg required confirmation and that was how it turned out tonight even if nothing came easily. Less than a week after taking a comfortable lead (2-0) in the tie in Germany, the job to qualify for the semi finals of the Champions League has been done. 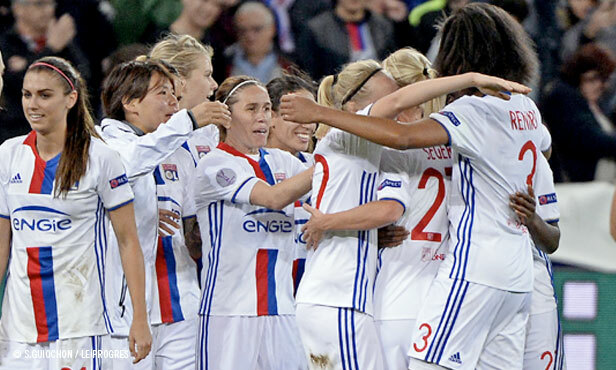 Lyon are now in the last four of a European competition of which they are title holders. For 90 minutes and with 14000 supporters present, Gérard Prêcheur’s players went through a tough trial. They were dominated in the first half by a German formation that once again smothered OL with their pressing all over the pitch and interrupted the home team’s moving the ball forward. 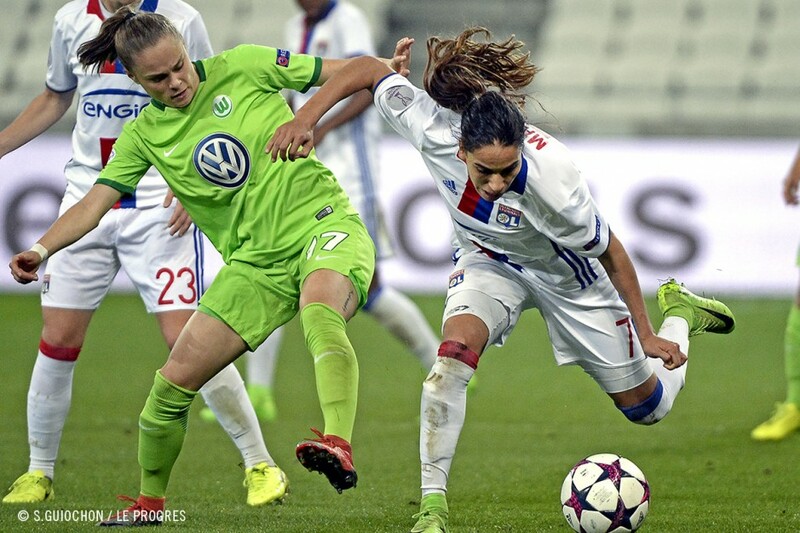 But even if the Lyon defence was having a hard time of it, Wolfsburg were unable to break through and the two teams went to the dressing room with the score level. 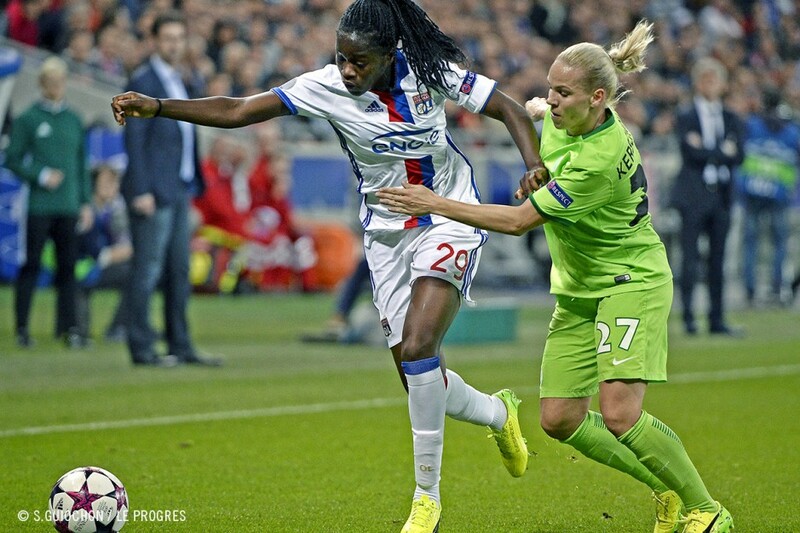 The second half began in the same way with Wolfsburg creating a decent chance only nine minutes after the break. Inevitably, it was the Germans who opened the score, with Hansen converting a penalty (82’, 0-1). The last quarter of an hour seemed to drag on, but OL, as throughout this tie, dug their heels in and, not going forward as much, eventually came out winners, despite the loss. They will now learn who their next opponents are for the semi finals after the return leg between Manchester City and Fortuna Hjorring. Two away goals worth their weight in gold! 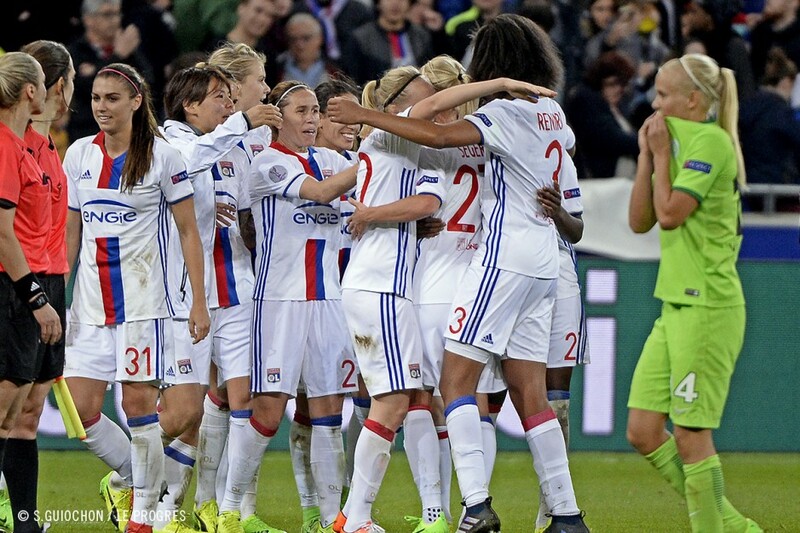 As they often show they can, including in the Champions League, Lyon did battle tonight and, in the end, had to cling onto their fine performance in the first leg. 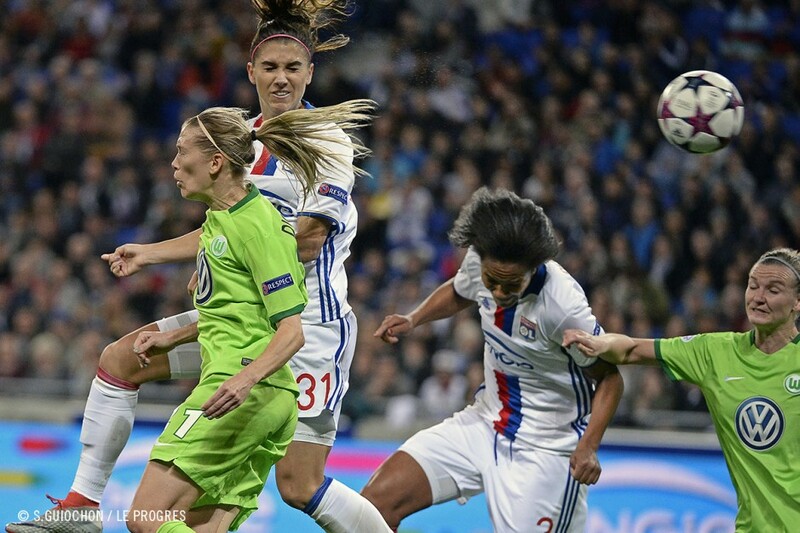 Abily’s and Marozsan’s goals in germany allowed the OL women to book their place in the last four of the most prestigious European competition. Without that advantage, the scenario could've been quite different. 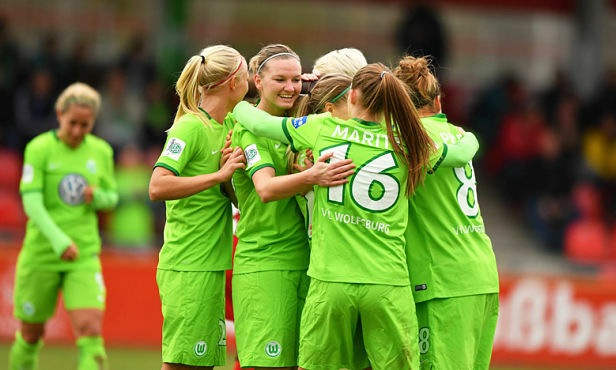 Especially after the penalty that Hansen converted (82’) to give Wolfsburg hope and put the home crowd on edge. 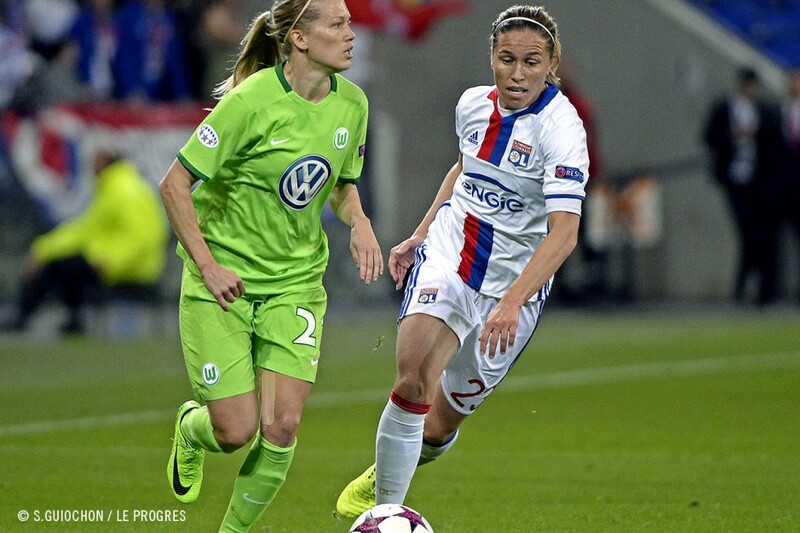 Lyon tried to defend by attacking, but the last quarter of an hour was even more tense. 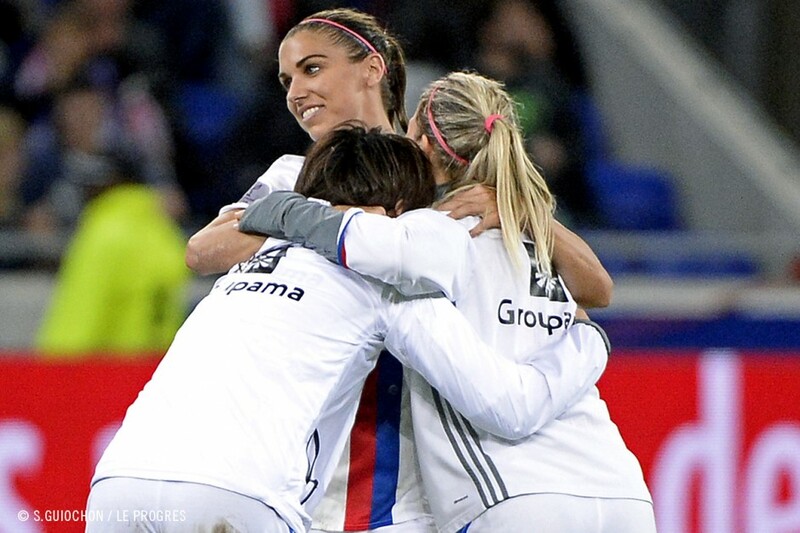 Beaten one-nil at home, OL have nonetheless validated their semi final ticket by having dominated only one out of four halves, but also by capitalising on their chances in that strong 45 minutes. 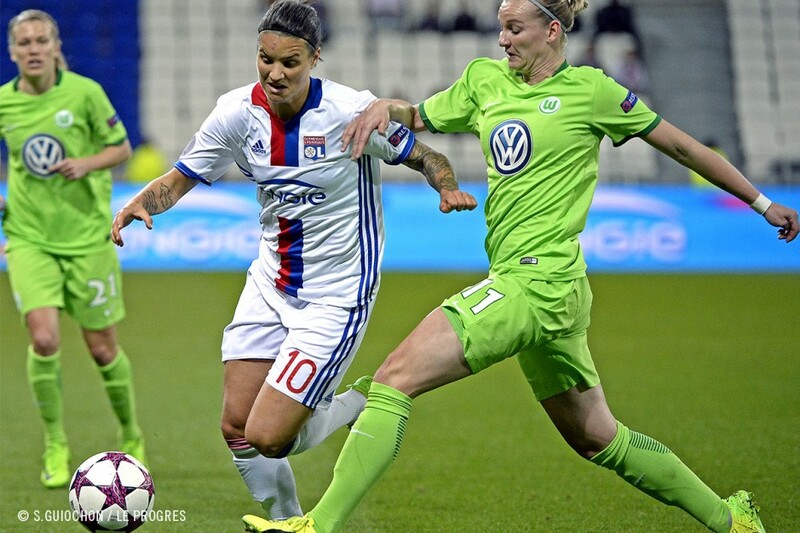 Despite this loss tonight against Wolfsburg, the OL women maintain their incredible run in the quarter finals of the Champions League. In their history, the OL women’s team have yet to be knocked out at this stage of the competition. They have played eight quarter final ties with a return of eight qualifications for the semis. The European adventure continues! Referee: Monika MULARCZYK (POL) Attendance: 14 128. Goals: Hansen (82’) for Wolfsbourg. 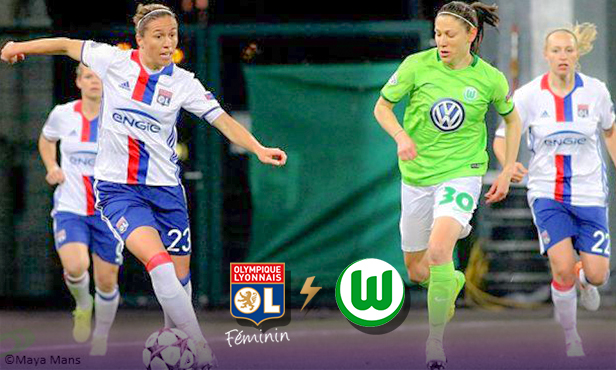 Yellow cards: Abily (78’), Bremer (88’) for OL. 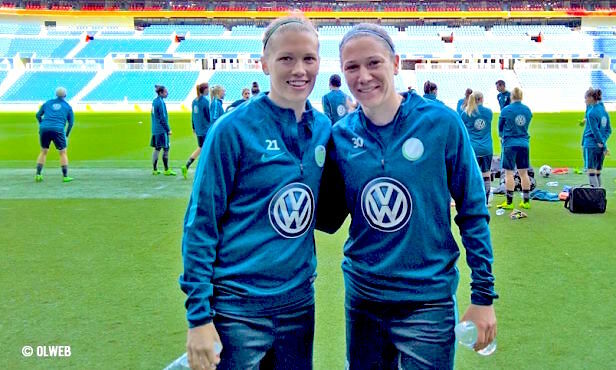 Blässe (26’, 90+5’), Gunnarsdottir (65’) for Wolfsbourg. Red cards: Blässe (90+5’) for Wolfsbourg. OL: Bouhaddi - Mbock, Buchanan, Renard (cap. 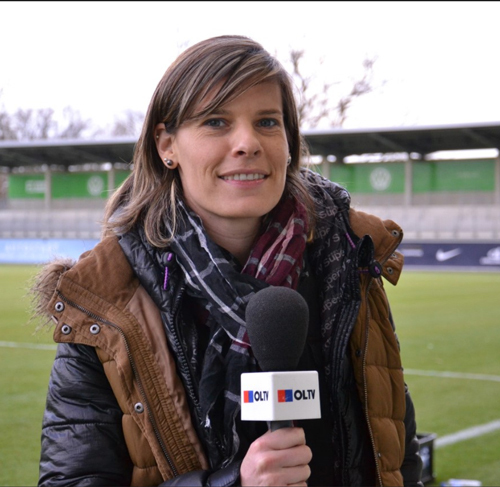 ), Majri – Kumagai (Seger, 63’), Marozsan, Abily – Morgan, Hegerberg, Le Sommer (Bremer, 73’). Coach: G. Prêcheur. 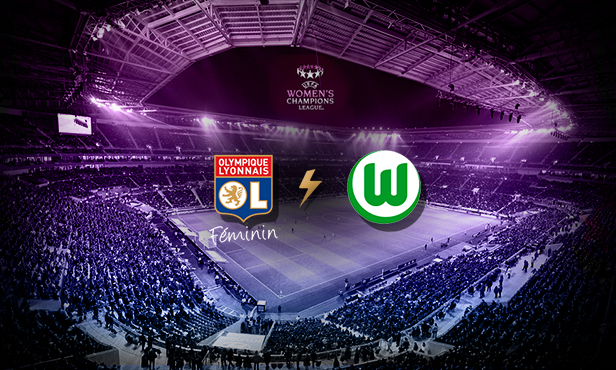 The OL women host Wolfsburg at the Parc OL on Wednesday night (2045), in the Champions League quarter final return leg. 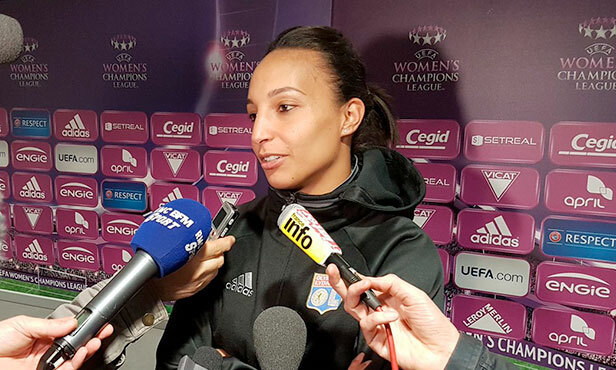 Lara Dickenmann : "C'est un peu comme revenir à la maison"
Revivez l'après-match du 1/4 de finale retour de Ligue des Champions féminine entre l'OL féminin et Wolfsbourg.